Perfectly situated during July 4th weekend is "Made in USA Day" on July 2nd. This day celebrates all things "Made in the USA" and promotes the capabilities of American workers. At Hy-Lite, we are happy to proudly stand up and report that our acrylic block windows, wall partitions and door inserts are all made in America --- actually at our plant in Pensacola, Florida. Dozens of our dedicated employees custom make acrylic block products each day --- to the exacting needs of orders submitted by our customers. Crafted by hand, acrylic block privacy windows come in a variety of styles, from fixed to operable. Shutters, radius and flat privacy walls, along with unique feature products are also all created in Florida at our manufacturing plant. Why should Made in the USA matter to you? 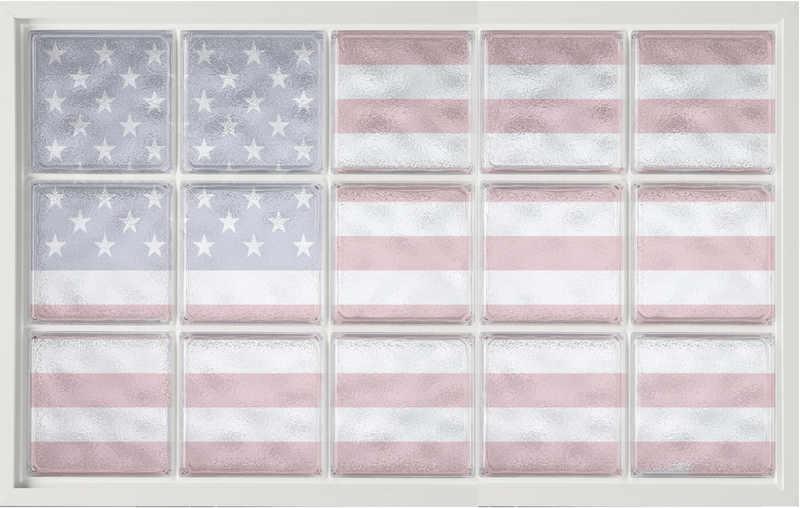 First, if you're considering purchasing our acrylic block products it means that you're supporting the American economy and workers. Second, products made in America ship faster and arrive quicker than those from overseas. When you see the flags fly on July 4th, think about the American workers and the products they create. You can support their efforts by focusing on products made in our country that will look beautiful in your home.